CHECHESMITHNATION : Burberry reports 10% rise in sales of £1,500 trench-coat after Romeo Beckham stars in four-minute Christmas ad. Burberry reports 10% rise in sales of £1,500 trench-coat after Romeo Beckham stars in four-minute Christmas ad. 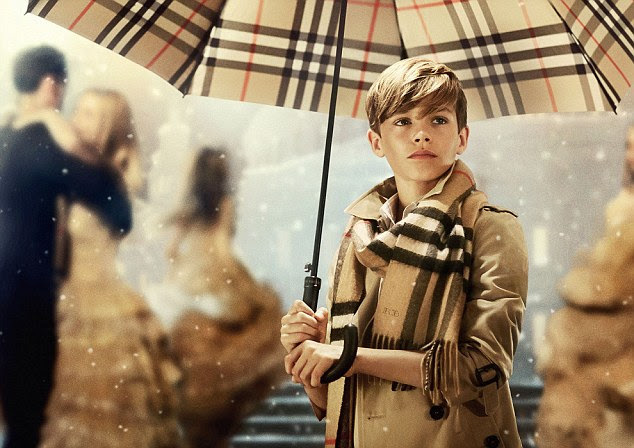 Romeo Beckham wore the classic Burberry trench in the advert along with a smart Burberry scarf and umbrella. Burberry the fashion label,has credited David and Victoria Beckham's 12-year-old son for its rise in sales in the US,Europe as well as in the Middle East after he starred in their Christmas advert last year. It has been reported that it was all because of his most recent Burberry advert,sales of the brands classic £1,500 trench coats have gone up a substantial 10 per cent. However,in the three months to the end of December,sales of Burberry coats,bags and fashion climbed 14 percent to £600m. According to Burberry, "Since Romeo starred in that Christmas campaign,people have been flocking to the store to get their kids dressed in the Burberry children's trench coat and scarf,making the kids section of Burberry section too hard to resist. 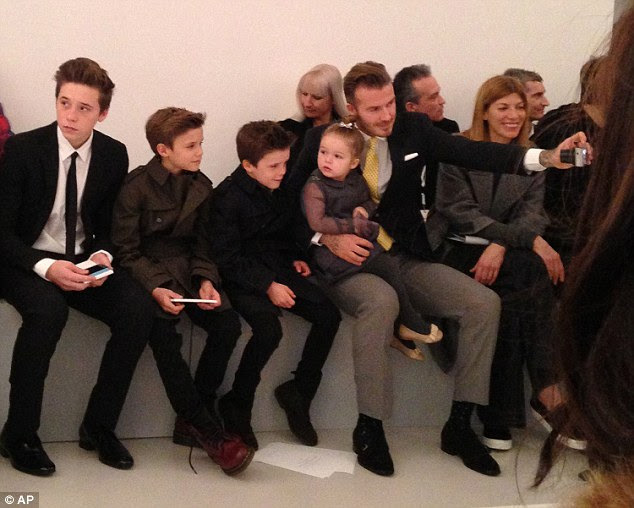 Romeo - pictured with (l-r) Brooklyn, Cruz and dad David holiding Harper) is no stranger to the fashion world and has previously sat front row at his mother's fashion shows.